Bay Magic Meetings & Tours, LLC is a full-service Destination Management and Receptive Tour Company specializing in showcasing the best of Northern California to meeting and convention attendees, association groups and leisure groups from across the country and around the world. We pride ourselves in creating highly specialized customer service-driven programs including customized tours, team-building activities and memorable off-site events that are sure to be a highlight of any group’s visit to our amazing area. Over 20 years of transportation, tourism and hospitality industry experience. Our local expertise and relationships with the area’s best transportation providers, specialty venues, top hotels, destination restaurants, wineries and other attractions and services enable us to offer our clients quality and attention to detail that is second to none! Full-service Receptive Tour Operator offering private tours, transportation and tour guide arrangements, custom tour itineraries and more…serving groups from all over the USA and the world. Specializing in detailed, custom itineraries and exclusive tour programs for incentive groups, tour groups, families, schools and educational organizations, and special interest groups of all kinds and sizes. Transportation Management, Staffing, Tours, Off-Site Events, Activities, Teambuilding, Spouse Programs. 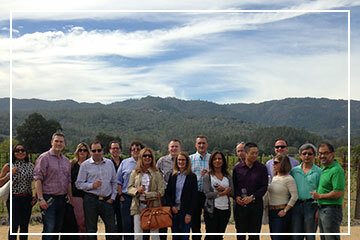 For over 15 years we have been San Francisco, Silicon Valley, East Bay and Wine Country experts. Serving national and state associations, corporations and meeting and conference groups of all kinds. Highly detailed arrangements and programs for meetings and events from 10 to 1000 attendees. 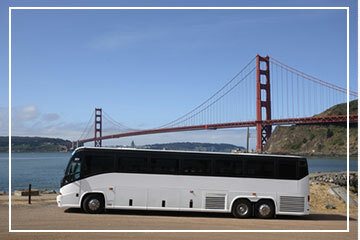 Fully-Escorted motorcoach tours in California, the West Coast and the Southwestern USA. Featuring the best destinations, attractions and highlights! Top-quality transportation, accommodations, dining and attractions, plus professionally certified, experienced tour guides. 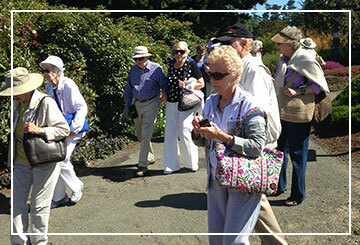 We have extensive experience providing tours for some of Northern California’s finest seniors’ communities and assisted-living facilities. Thank you so very much for the wonderful tour!…The reunion was a hit and many people cited the tour as the highlight of the trip. Thank you again for providing us with two friendly and knowledgeable people. My family speaks very highly of both of them.